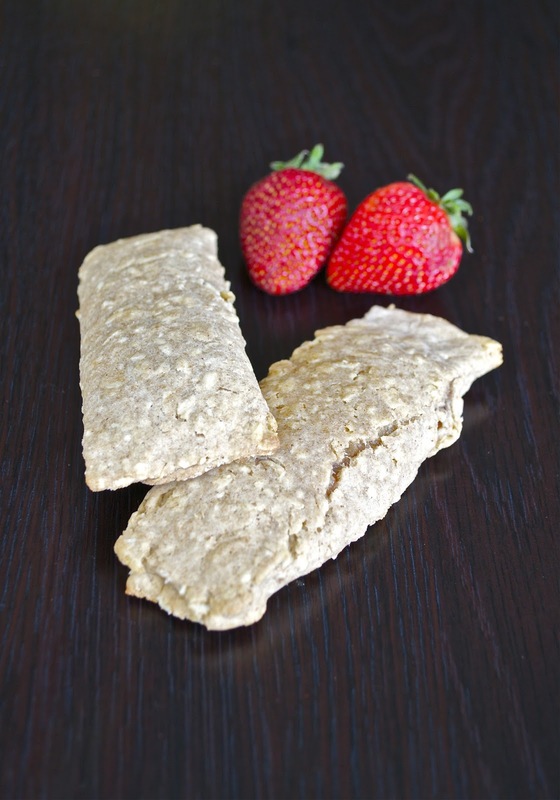 I used to love Nutri Grain Bars as a kid, especially the strawberry and apple flavored ones. Since I know now that despite their name, these bars really aren’t that nutritious, I tend to steer clear of them. Don’t get me wrong, they aren’t horrible and are definitely better than no breakfast at all, but they do have quite a long ingredient list (I stopped counting at 10) which includes a lot of processed stuff your body could do without. Needless to say, I was pretty impressed when I came across Half Baked Harvest’s healthier version that tastes just as good and didn’t contain any of the same processed “stuff” as the original version. 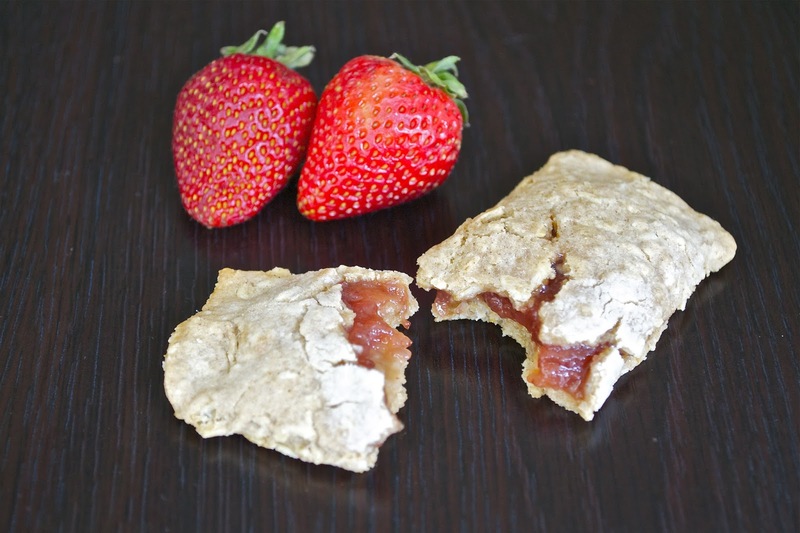 I didn’t have enough strawberries on hand to make the filling from scratch, so I used Trader Joe’s Reduced Sugar Organic Strawberry Preserves instead. On that note, you could really substitute any flavor of natural preserves in this recipe and I’m sure it would turn out great. One day I’d like to try to recreate the apple flavored Nutri Grain Bars that I used to love. 1. In a small bowl, mix together the flour, oats, baking soda, cornstarch, salt and cinnamon. Set aside. 2. In a medium bowl, cream together the coconut oil/butter, greek yogurt and honey. Add the egg yolks and vanilla and beat until combined. Slowly add the dry ingredients and combine. 3. Line a work surface with wax paper and lightly line it with flour. Divide your dough into two equal sections. Put one section of dough on the wax paper, sprinkle it lightly with flour, and wrap the second dough section in plastic wrap and set aside. Place another piece of wax paper over the dough on your work surface and roll out into a rectangle until it is about 1/8 inch thick. 4. Cut as many 4×4.5 inch rectangles as you can (I used a pizza cutter to do this), then roll out again and repeat. You should be able to get 4 rectangles from this section of dough. Spoon out about 1 1/2 tablespoons of strawberry preserves down the middle of each rectangle Fold one side of the rectangle over about half way, to cover the preserves, pinch both edges closed, then fold over the rest of the way and pinch edges closed again. Set on a baking pan lined with foil, seam side down. Roll out the rest of the dough and fill with preserves to make a total of 8 bars. 5. Place the lined baking pan with uncooked bars on them in the freezer for 15 minutes. Meanwhile, heat your oven to 350 degrees. 6. Bake bars for 15-20 minutes, or until slightly golden brown on top. Cool for 5 minutes, then transfer to an airtight container so they will stay soft.